Observed at Olorgasailie, Kenya. December 2014. 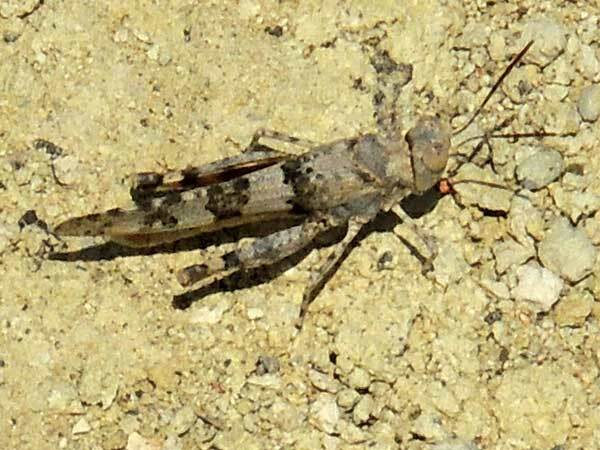 How does a camouflaged grasshopper interpret the color variations in the substrate so as to maximize its hiding power? Does it take many generations for a local population exposed to visual predators to select for the best match between the color patterns of the insect and where it usually sits? Copyright Michael J. Plagens, page created 30 Sept. 2015.